Over here at rakkup “World Headquarters”, our homes in Seattle, we are climbers and we love climbing. But like many climbers, we live near the mountains and love playing in them in a variety of ways, and we have winters to get through. And in the Pacific Northwest, we have plenty of precipitation which turns into an amazing amount of snow at elevation. 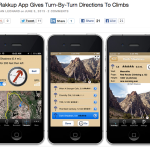 We have had friends tell us for years that our app would be a great fit for backcountry snow. In the last year, two pieces came together to make that idea irresistible to us. The first is that our awesome partner, Wolverine Publishing, told us about the success and the quality of their guidebook Backcountry Skiing California’s Eastern Sierra. The book’s author, Nate Greenberg, was interested in the potential of his content combined with an app, too. Meanwhile, Rob had taken a couple of snowboarding trips to different zones in Alaska, with Jamie Weeks as his guide. As Rob and Jamie became friends, Jamie wondered aloud about what a great guidebook app would look like for the ski terrain near his home in Jackson Hole, and expressed some enthusiasm for the project. 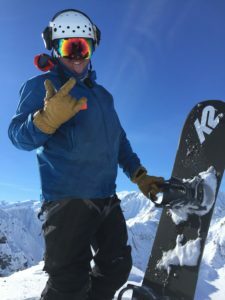 Nate is the director of the Eastern Sierra Avalanche Center, and Jamie is an AMGA certified snow guide and avalanche educator, well known for his work as Teton Splitboarder. What Rob and Todd lacked in experience and technical expertise, they now had in their partners. All four shared a passion for the project. Together we bring you the newest update to rakkup, and our first two guidebooks for backcountry skiers and snowboarders: Teton Pass Descents and Backcountry Skiing California’s Eastern Sierra, a digital enhancement to the existing print title from Wolverine Publishing. Lots of work went into developing guidebooks that are clear and easy to read, with symbology and maps that let you browse and choose quickly. We added topo maps with contour lines, a necessity in ski terrain. We are especially proud of our filtering feature that lets you apply criteria from your local avalanche center to eliminate runs in higher-risk terrain based on slope angle, aspect, and elevation and choose from the runs that remain. Best of all: Search for terrain, or Filter based on critical information factors (like those presented in an avalanche advisory). We’ve already been told that this app is the most compelling and exciting backcountry ski app yet. Yet we know that this is just a beginning. For one, we have many more guidebooks already in the works, from respected and talented authors all over. (We are always looking for more! Let us know if you want to write a guidebook.) Secondly, we have plans we think you will love, from sharing your adventures with friends, to visualizing the latest reports and information to keep safe. 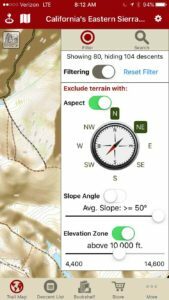 We’ll be adding features to make this app a tool you won’t want to head into the backcountry without! So, get out there and shred your own patch of pow! Give one of our guidebooks a spin and tell us what you think. This week we are launching the rakkup digital version of Joshua Tree Rock Climbs by Robert Miramontes, from our partners Wolverine Publishing. This release is an emotional one for us on several levels and we thought it might be interesting to share the story of how it came to be. With a sense of great pride and accomplishment, gratitude for partners who helped us and believed in us, and sadness at a recent loss, we bring you this book and hope it is your companion for some great climbing days this Winter. The good folks at Wolverine have been our most important partners for the last couple of years, and it all started with a visit to the Western Slope. 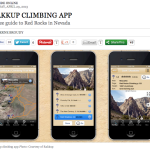 We admired Wolverine as an early leader in smartphone versions of digital guidebooks, and we had recently seen the news that they were discontinuing the first generation of apps they had released because they proved to be difficult to update. Excitedly, we drove from Boulder to the Rifle area to pitch our platform. There we not only received the warm hospitality of Dave Pegg and his wife Fiona, but also the gift of their faith in us. After our meeting and a super home-cooked meal, they decided to entrust us to release digital versions of their books at a time when our catalog consisted of about two titles. Some of you may have heard of the tragic loss of Dave Pegg last weekend. He was a great business partner but more than that. We counted him as a friend and admired his energy, business smarts, integrity, and pure love for the people and places of climbing. Several other authors told us his books set the standard in North America for detail, readability, and appearance, and we agree. Our last email from Dave was the “green light” to release the Joshua Tree guidebook we built together, and after we conferred with Robert Miramontes (its meticulous author), we agreed that Dave would want to see this go forward. Therefore we see this as something of a tribute to the beautiful books he made and the community of people he brought together to do it. When you pick up the book, you are immediately struck by its beauty. The layout is clean and readable, the depth of the descriptions is amazing, the photos are simply among the most stunning of any guidebook (but also perfectly framed to help find your route), and the heft and thoroughness is mind-blowing. Turning this into a digital guidebook was a daunting task, but from the very first day that we prototyped rakkup’s turn-by-turn navigation we talked about Joshua Tree as “nirvana”, the ultimate place where it was really needed. 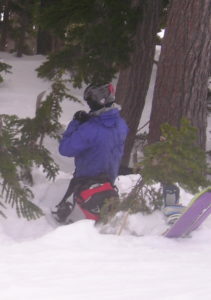 We had already checked that GPS signal was accurate way out in the park beyond cell phone service. It turns out, it took a team of four people and nearly six months from the time we started to pull it all together, and this book pushed our platform and our technologies to new heights. Todd was responsible for processing the original book files and using our automated import tool to parse all the sector, wall, boulder, and route descriptions and data. We structure the text and put it in a database so that climbers can quickly, sort, filter, and find routes. Our friend Tom Moulin helped with the enormous task of processing all the photos, preparing and labeling them to look great on mobile displays. (Tom is also a professional photographer, and author of the superb Southern Nevada Bouldering guidebook in his own right.) Robert, the author, used our web-based map building tool to draw a map of all the roads and trails that connect the 3,057 climbs and boulder problems with 201 miles of roads and trails. It boggles our minds to think of the time and knowledge required to put this together, and we feel sure every rakkup user is going to appreciate Robert’s setting this all down in a way we can benefit from when we climb. Watching Robert work forced us to make our tools better. I regret that some of the improvements will come too late to help this Herculean task, but I know all future map builders will benefit. For my part, I found this guidebook was on such a daunting scale that I had to rewrite both the iPhone and Android versions of rakkup to give a better experience with it. First, we added smart downloads that let you open the guidebook and use it within about 15 seconds of your purchase, and seamlessly download nearly 600 photos in the background and as you need them. Once they are cached the entire guidebook works offline so you can use it anywhere in the park. Next up, I did a rewrite of the map drawing code to handle the complexity of the map, which includes over 5,300 sections of road and trail, 3 or 4 times as much as our next most complicated map. Both iOS and Android offer a way to break the drawing up into small units of work so you can zoom, pan, and tap and feel a responsive app even as we show you where all the climbs are. This requires us to do all the math of converting GPS coordinates into pixels, so it was a fun challenge. Finally, I had to address the speed of route calculation. In our other guidebooks it felt nearly instantaneous to calculate the route from where you are to the route you seek, but it took a few seconds at J Tree on the iPhone app, and the Android app was just overwhelmed. Our algorithm was already pretty good, but I added a caching strategy to pre-calculate some things, and now we are back to instant response and reliable routing on both platforms. Along the way we used some new quality-control tools to validate the map and fix a few errors that crept into the map data, too. This book was really what we had in mind three years ago when we labored to create rakkup. I love ability to filter a huge database of routes and see just the ones you want in a list or laid out on the map (by morning shade or afternoon sun, 3 or 4 stars, trad or sport or bouldering, just the right range of grades, and more). I can’t even imagine visiting Josh again without relying on rakkup navigation, as one who has been lost plenty and seen the labyrinth of stone in the park. And Robert’s beta, opinions, and ratings clearly seem to reflect more climbing experience there than I and my friends could ever hope to amass. We loved being part of a team that came together to make a piece of work cooler than any of us could have done on our own. We got Wolverine’s permission to bring it to you at an amazing price. And we think that since we all rallied together around an effort started by Dave Pegg, it is a fitting tribute to how much he gave to the climbing community. You’ll be missed, Dave, and we will work hard to keep the level of quality you would have wanted, and to get out and climb as often as we can, as you certainly did. Exit 38 Rock Climbing this summer? Try our new guidebook! 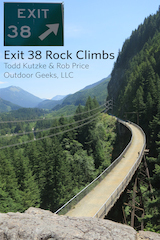 Todd and I have been climbing at Exit 38 now and again since the late 1990’s, and we know it’s a great resource for Seattle and Western Washington climbers. The drive out to North Bend is easy, and the crags stay cool and shady even on hot summer days. If you have ever been climbing at Exit 38, you know that it’s got a great array of moderate climbs from 5.6 to 5.12 and some excellent first leads for the beginning outdoor climber. The short approaches and friendly bolting and equipping of the routes are added bonuses. Our friends at snovalleyrock.com (with whom we partnered to create the Exit 32 Rock Climbing title for rakkup last year) have a guidebook to the area, but its hard to find a copy this year and the new edition likely won’t be in stores in time for the summer climbing season. We thought this would be a great opportunity to showcase the advantages of digital distribution, so we set out to create a rakkup guidebook. You can buy the resulting Exit 38 Rock Climbs title now in our app or here on our website. Like all rakkup titles, it includes great mapping and our much-loved turn-by-turn directions to navigate you to every climb using the GPS in your smartphone. We’ve included all the climbs at the most popular and highest-quality areas: the Substation, Write-off Rock, Nevermind Wall, Deception Wall, We-Did Rock, Hull Creek Wall, and Amazonia. We’ve even documented some climbs that have never appeared in any guidebook before. As always with rakkup, it’s fast and easy to search, filter, browse by grade, and map all the routes. This was a fun project for us, as we took the opportunity to try some new technologies and teach ourselves some new tricks. We used some cool new Adobe software for iPads to sketch routes and annotate photos while standing right at the crag, and some cool “stitching” techniques to create panoramic views of some walls that would be impossible to take as a single image. As a result this guidebook features detailed color photos of the routes with clear lines making it easy to identify different routes. We think it’s the best guidebook yet for hassle-free climbing at Exit 38. We’ve kept the price affordable and continue to offer an even less-expensive option to “rent” the guidebook for 2 months at half the usual price, if you aren’t a frequent visitor and just want to give it a spin. Happy climbing! Check out our snazzy new website! We’re proud to say we’ve launched a beautiful new website here at www.rakkup.com! Thanks to those who worked so hard on it and the amazing photographers who shared their work with us. Which image on our home page gets you stoked the most? Is there anything else you’d like to see? There’s been a great discussion this week over at Mountain Project about rakkup. There’s been particular interest in the mix of subscription options and update options that you all would like to see. Keep in mind that rakkup guidebook prices are set by the guidebook publisher or author, not by us. We have some influence and build the enabling technology, of course. Pricing is tricky, and what each person is willing to pay is different, of course. We’ve tried to strike a balance between making these guides affordable for climbers and making sure that the authors and publishers find the business worth their while so they keep making and updating guidebooks. Case in point, Wolverine Publishing found that they simply could not afford to keep adding updates to the older apps that never expired, hence the subscription plan. And there are a LOT of updates, and Wolverine’s been awesome about doing rapid updates to their rakkup guidebooks as climbs change or get put up. We think the prices are fair for the quality of these books, and tried to provide options that are cheaper than print rather than more costly. The 60-day option seems to appeal to a lot of traveling climbers. Also note that you can buy all of the exact same subscription for around 25% less at rakkup.com than you can via buttons in the rakkup app, thanks to Apple’s hefty surcharges! Since we are guests over at the Mountain Project site, we wanted to give you a place to weigh in here at rakkup.com. What do you like about the app? What would you like to see? We can also start discussions about each guidebook or about particular topics you’d like to discuss in depth. rakkup wins 2014 Climbing Magazine Editor’s Choice for Best App! We’re delighted to announce that the editors of Climbing chose rakkup as a 2014 Editor’s Choice product! rakkup is a guidebook app for your phone, with powerful features and a growing range of available guidebooks for major climbing areas. See what Climbing had to say about rakkup in the 2014 Gear Guide. The rakkup guys have been reading Climbing gear reviews forever, so it’s great to see rakkup recognized for quality. Huge thanks, Climbing! Check out the Adventure Journal’s take on rakkup. Thanks AJ for the awesome review!